Old time radio takes on one of the most famous crimes in history the case of Jack the Ripper. Somehow, London of the late 1880s manages to become even more creepy coming to us from the speakers of our radio. This is the London of foggy nights and shady dealings and fast talking. The London where a bloke in the wrong part of town after dark could get his head thumped and his purse pinched quicker than you can say "Bob's your Uncle"! It is also the London that is terrorized by Jack The Ripper. The case of Jack The Ripper, also known as the Whitechapel Murders, is perhaps the most infamous of unsolved crimes. By the late 1800s modern police departments, including Scotland Yard, had adopted scientific investigation as an important part of their procedures. Despite this, there is very little that is definite about Jack the Ripper, including the number of his victims. The poverty of the Whitechapel district at the time made it a hotbed of crime, so there were murders that could have been the hidden work of Jack the Ripper, while some which he is credited with show signs that they could have been 'copycat' crimes. Even the name "Jack the Ripper" came from a letter, supposedly from the murderer, which was later shown to be a hoax. Such an infamous case could hardly be ignored by the "connoisseur of crime, student of violence, and teller of murders" Thomas Hyland of radio's Crime Classics. The show was a highly entertaining weekly half hour which presented some of histories most infamous murder cases, from Bathsheba Spooner, the first woman executed for murder in the United States, to the assassinations of Abraham Lincoln, Julius Caesar, and Leon Trotsky. The case of Jack the Ripper would have been just too juicy to be ignored. Given the level of mystery surrounding the Whitechapel Murders, perhaps Crime Classics can be forgiven if the story strays a little further from the facts than some of the other episodes. It should be noted that "Good Evening, My Name is Jack The Ripper" would be the last episode of Crime Classics' successful radio run. Fourteen years earlier, another CBS radio great would get its start telling a tale based on the Ripper case. The audition program for Suspense! was presented on the CBS radio summer preview program Forecast. Although there was no way to know in 1940 how far Suspense! 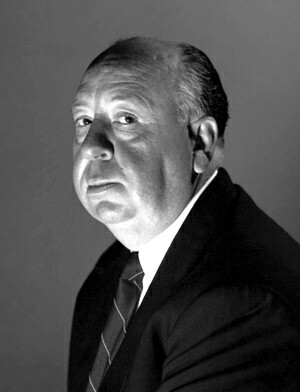 would go, the producers pulled out the stops for the preview, giving Alfred Hitchcock his first chance to direct for an American radio audience. 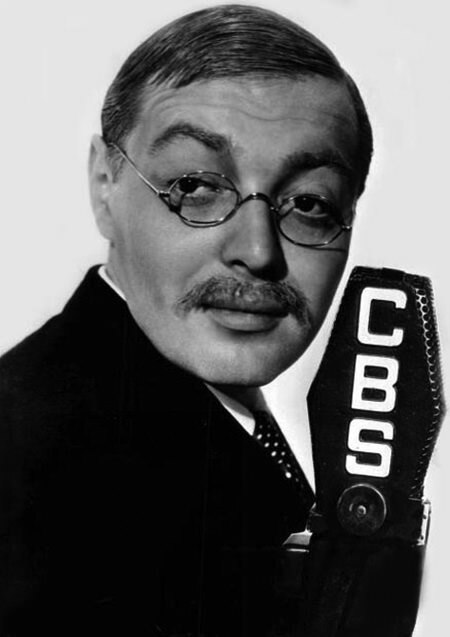 The radio program could be seen as simply a half hour long plug for Hitchcock's soon to be released film Foreign Correspondent, but the episode entitled "The Lodger" stands very well on its own, not to mention launching Suspense! on a twenty year run of thrills and chills. "The Lodger" was a favorite tale of Hitchcock's ; he had made a silent film based on the story in 1926. The serial killer in "The Lodger" is the Avenger, but he, and the terror he creates, is clearly based on The Ripper. The heroine, Mrs. Bunting, runs a boarding house in Whitechapel in the shadow of the terror surrounding the Avenger, when a tall, gaunt, and mysterious lodger rents a room. Because the lodger pays in advance, the Bunting's can afford to bring their stepdaughter home from the country. As news of the murders spread, Mrs Bunting begins to suspect her new lodger, only to return home one day to find her stepdaughter missing! In true Hitchcock fashion, the director chooses to end the episode before the true identity of the killer is revealed, leaving the audience in true "Suspense". For the next few weeks CBS got threatening letters that claimed it was indecent and immoral for such a story to be broadcast without also giving a solution to the mystery. Suspense would reprise "The Lodger" a number of times in the following twenty years. The script would also be used for Peter Lorre's Mystery in the Air, guest starring Agnes Moorehead. Be the first to comment on "Jack The Ripper"